What I can tell you is the fastest way to create a boring home is by sticking to only one style, theme or design era throughout the space. When you flick through your favourite interior magazines you will notice how the most beautiful rooms are those that have a variety of styles incorporated to create a balanced and interesting interior. 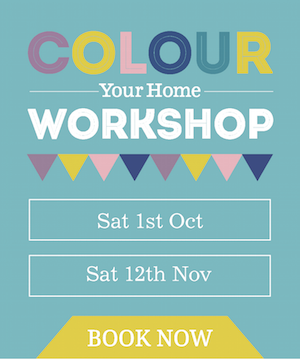 Here are my expert tips on how you can create a home that combines different styles to reflect the true personality of your home. If your home has obvious period details that reflect the era of the architecture, eg. victorian terrace or colonial cottage, use this as a starting point to transform the look of your space. 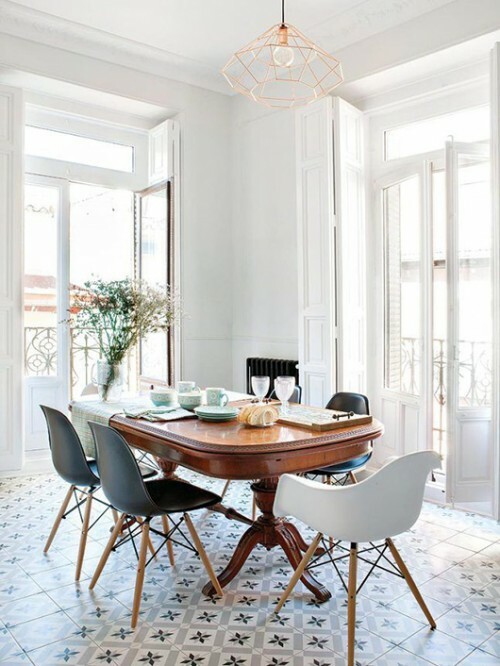 For example, the dining room pictured above uses a crisp white base to highlight the original french doors opening onto the pretty ornate balcony and is complemented with an antique dining table that provides a warm focal point to tie the old details together. Add your modern touches like these mid-century Eames chairs and the wire geometric pendant light to take it to another level of eclectic chic. Take a leaf out of Nina Litchfield’s book and use solid colours to inject a playful and fun energy into a traditional 19th century space. 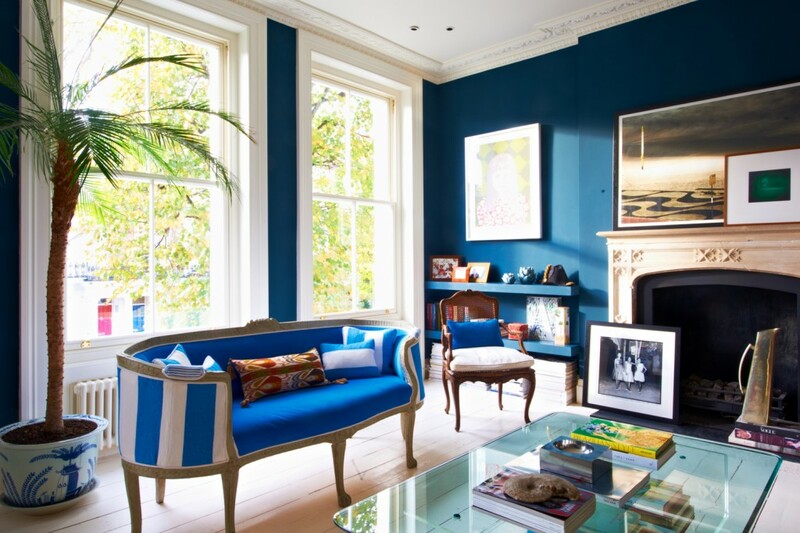 She uses bold blue tones in wall colour and furniture to transform her elegant living room into a vibrant and stylish interior. This is a good example of how you can mix old and new to create personality and fun in the home without losing the overall charm of the home’s period details. If you have a more contemporary home with clean lines and open spaces, think about adding some interest with one-off vintage furniture pieces such as mid-century armchairs recovered in a modern coloured fabric; or a classic 60s pendant light to create an edgy focal point over a Danish dining table. Rugs are also a great way to introduce texture and warmth to a modern interior, such as on oversized vintage patchwork or kilim to tie all the design elements together and make the space feel more homely. I love this example above by Brett Mickan interior design. 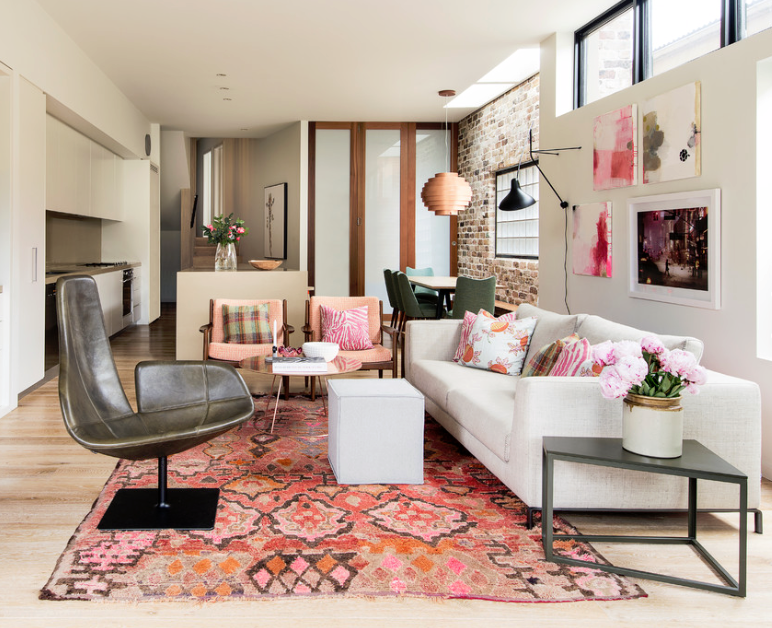 He has balanced the modern and vintage using subtle pink tones to bring this loft to life. 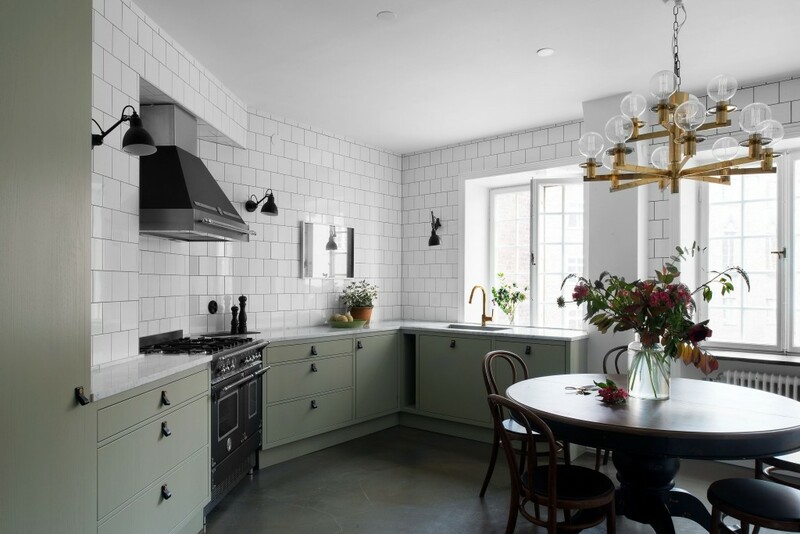 Kitchens are known for being mostly white and minimal, but if you are bored with that look them try adding some classic elements to the design. For example you may want the white look but with a touch of rustic industrial charm. 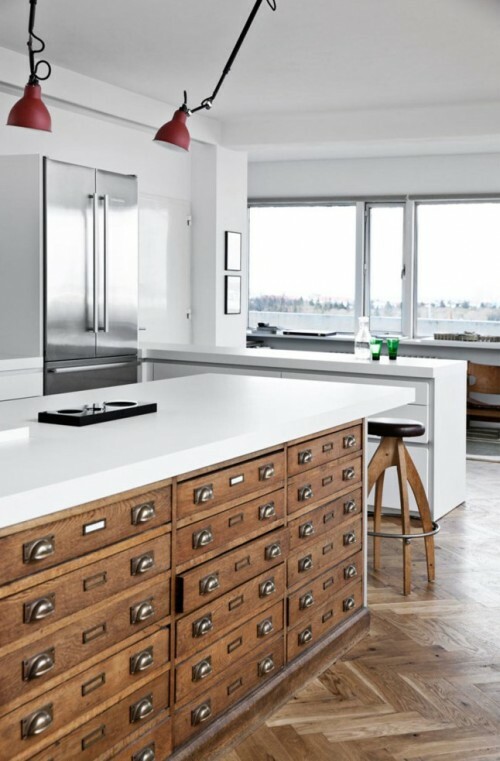 You can achieve this by adding some vintage timber drawers to the cabinetry design like the image above and paired with a more classic parquetry timber floor to compliment the rustic warmth. If you have any dilemmas mixing old and new styles in your interior project please feel free to ask me a question in the comments below!